This superb marked itinerary is modeled on the crazy ride of William the Conqueror. In 1046, when he was pursued by the Norman barons, the future king of England succeeded in rallying Valognes to Falaise in less than a day. 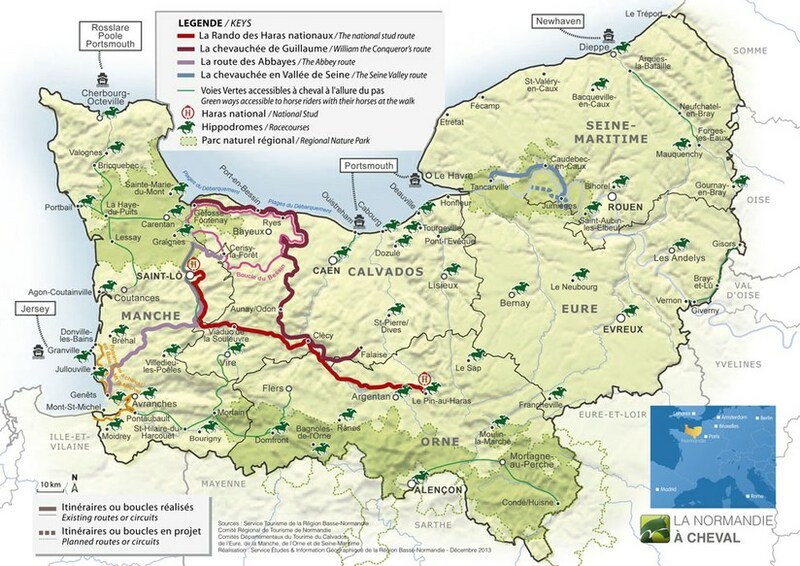 Today, this 210 km hike begins in Veys Bay (Géfosse-Fontenay), crosses the landscapes of Bessin, Normandy and Norman Switzerland for a grandiose arrival at Falaise Castle.